Our penultimate show of year is with long time friends of the label Storm The Palace. StP will be coming to us all the way Edinburgh as part of their Winter tour, and they will be bringing Virgin of the Birds with them. VotB is singer-songwriter John Rooney' solo project, founded in San Francisco and now based in Seattle. John is also the founder of Abandoned Love Records, which includes Storm The Palace it its roster. Finally, we will have Coventry's own Invitation to Love who will whisk you away with their synthesiser swoon-pop. Come and join us, this will not be your average show! Our next promotion will be back at the Tin on November 19th when we will be bring you two of the city's finest alternative rock bands on the same bill for the first time. If you follow goings on at Creature Lab closely you will know all about Gunther Prague: Deliberately awkward, louder than necessary. Influenced by Shellac, Mclusky, Harvey Milk, Black Eyes, and King Crimson... Expect twenty songs in barely more than half an hour and an appearance from the mysterious "lieutenant". 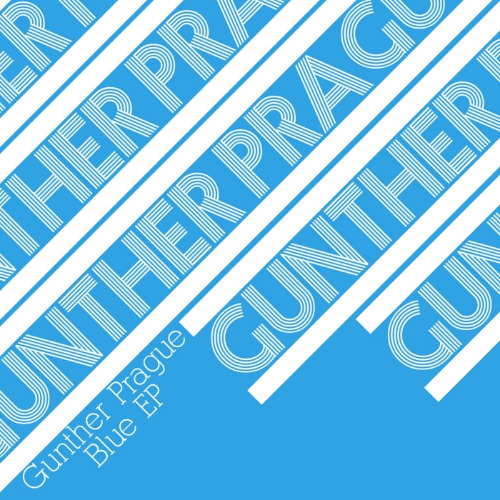 Gunther Prague are currently finishing an album which will be their third release in 18 months. Superhooch: Two guitars, drums and bass, a singer's voice that'll melt your face, fuzz, feedback and almighty riffs! Fusing blues, garage rock, stoner and psychadelia, Superhooch are ready to convert you! How does it feel to be British Born Chinese and line dance in Liverpool? How does it feel be pummelled into submission in the boxing ring by a movie director? How does it feel to fail gloriously with your very best friends? Creature Lab's tenth release will be Duck Thieves' new EP which will help you to answer these burning questions! It will appear on all major streaming services on October 22nd. Delightful Young Mothers will perform a full band set of their beautifully written, accordion driven, punk-influenced songs with a lineup that includes members of Batsch and Marker Starling. 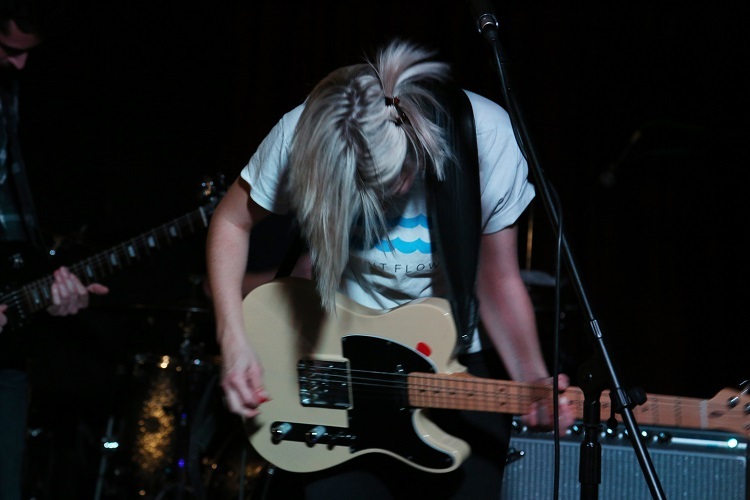 Nim Chimpsky describe their music as "by chimps, for champs" and have quickly become cult favourites on the local scene since they first appeared less than a year ago. A noisy, technicolour monster. Invitation to Love are named after the trashy television romance from Twin Peaks... after that, describing them gets tricky. Surrounded in mystery, ITL shows are rare and never fail to be worth seeing. Of course, topping the show will be Duck Thieves themselves, telling their tales in a style a bit like pantomime soundtracked by Queen. Expect chaos, dance routine, barely believable numbers of props and costume changes, and expect to smile and dance for forty minutes solid. Steve's presentation about the DIY music scene in Coventry is now available to watch and listen to. This was part of the "My City of Culture" event in July hosted by Coventry Artspace, which part of Coventry's bid to become the City of Culture in 2021. Gunther Prague will be providing the local support for London's Evans the Death at the Tin on July 29th. This is another show booked by our good mates at Kitchen Club who are continuing their link up with Fortuna Pop! Records to bring Evans to the city for the second time in year. See you there! Steve was really pleased to be asked to speak at the recent Pecha Kucha Coventry event "My City of Culture". Coventry is bidding to be the UK City of Culture in 2021, and this one of a number of events planned in the run up to the submission of the bid itself in 2018. Steve spoke about the importance of DIY gigs, and why Coventry is perfect for musicians who are brave enough to take responsibility and put on their own shows. The slides and audio will eventually be uploaded in the Pecha Kucha Coventry website and we'll provide a link when they go up. The show at Inspire at the end of May was easily one of our favourites of all time... a real reminder why DIY gigs are so much fun and worth the hard work. We'd like to record our thanks to everybody that came out (the venue estimated 120+), the bands for putting on such good shows and particularly Mick Leape and his staff at Inspire for hosting us. This was our first even "Pay What You Want" gig, and we're pleased to report that people gave generously when prompted by The Lieutenant and we were able to split a decent pot between the acts. DIY! DUCK THIEVES are back! On March 19th, "Copycat" will be released via Creature Lab. The three track EP features three favourites from the band's superb live show: "Copycat", "Golden Ninja Warrior" and "Nowa Huta". Expect the usual big guitar solos and subject matter including the counterfeit art from China, feuds over terrible kung fu movies and even communist town planning. The band will perform at Revolt, Coventry's excellent DIY / Riot Grrrl / Ruckus night on March 19th to mark the release. This weekend, Duck Thieves had the privilege of headlining the Love Music, Hate Homophobia, Biphobia, Transphobia gig at The Tin in Coventry, which was organised by Coventry Pride. The gig was also part of Independent Venue Week, and we were really proud to have a Creature Lab band supporting two good causes in one go. Here are some of Adele Reed's pictures from a brilliant evening. The gig was also filmed, and we will tell you a bit more about that soon. There are still one or two things left to wrap up from the back end of last year, including these pictures from Gunther Prague's performance at the Dumb Luck Xmas Hoopla on December 22nd. Now that 2015 is done and dusted, we've finished choosing our favourite pictures from CLR related events over the year. What better way to start off Creature Lab's 2016 than with a 2015 review of an album that we put out in 2014? In November, Tom Claybrook of Noisy Dirty City wrote some very kind words about our first ever release which he calls an "astronomical and fantastical voyage"... You can read the full review here.